Popular singer Subir Nandi was admitted to the coronary care unit (CCU) of Combined Military Hospital (CMH) early Monday . Family sources said he was taken to CMH around 11 pm on Sunday after he complained of chest pain. 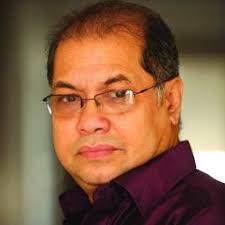 Subir Nandi won Bangladesh National Film Award for Best Male Playback Singer five times for his performance in the films Mahanayak (1984), Shuvoda (1986), Srabon Megher Din (1999), Megher Pore Megh (2004) and Mohua Sundori (2015). He was awarded Ekushey Padak in 2019. --UNB, Dhaka.